Does blurple count as a color? Today's nail art is supposed to be inspired by a color. That's kind of an open-ended prompt. Does "inspired by" mean I only use that color, or rather should my nail art be inspired by a color? I chose it to mean the latter and opted to use Scofflaw Nail Varnish Gordon Cole's Blue Rose as the inspiration for this look. 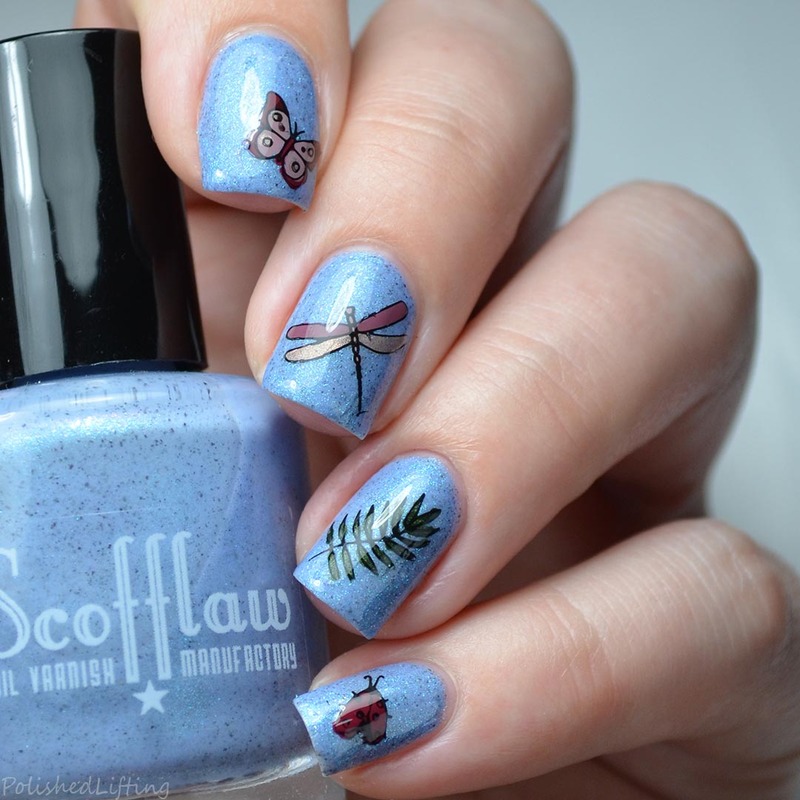 If you enjoyed this post you might like Scofflaw Nail Varnish Fall 2017 Collection and Born Pretty Store Stamping Mat, Foils & Halloween Plate Review.